Kiss Cincinnati Tickets - 8/29/2019 - Riverbend Music Center at Stub.com! Mobile Entry. Scan your tickets from your mobile phone for this event. Do not print these tickets Tickets will be ready for delivery by Aug 25, 2019. RSViP tickets grant access to the RSViP Restaurant & Club opens 2 hours prior to event, includes 2 full service bars, private restrooms, and a seated dining area with wait staff service. Tickets will be ready for delivery by Aug 25, 2019. General Admission. Tickets will be ready for delivery by Aug 25, 2019. Mobile Entry tickets. Must have smart device on hand to enter event. Do not print these tickets. Side view seating. Tickets will be ready for delivery by Aug 27, 2019. Limited view seating. MobileQR Entry. Scan your tickets from your mobile phone for this event. Do not print these tickets. 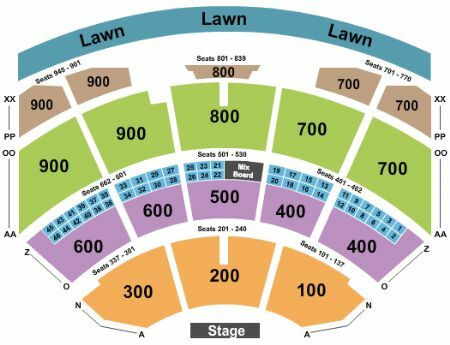 These tickets are printed Obstructed or Partial View however you will be able to see the action uninterrupted and only part of the stage/set/field will be blocked. Includes VIP entrance to event. VIP Area/Club/Lounge access included. Tickets will be ready for delivery by Aug 25, 2019. These tickets are printed Obstructed or Partial View however you will be able to see the action uninterrupted and only part of the stage/set/field will be blocked. Tickets will be ready for delivery by Aug 25, 2019. Gold VIP Tickets include access to RSViP Restaurant & Club opens 2 hours prior to event with 2 full service bars and a seated dining area with wait staff service, as well as access to the VIP Patio next to the stage area with private restrooms and bar. Includes VIP Parking with purchase of two (2) tickets or more. Tickets will be ready for delivery by Aug 25, 2019. Fifth row in this section. Includes VIP entrance to event. Includes VIP Parking with purchase of two (2) tickets or more. VIP access included. VIP Area/Club/Lounge access included. Gold VIP Tickets include access to RSViP Restaurant & Club opens 2 hours prior to event with 2 full service bars and a seated dining area with wait staff service, as well as access to the VIP Patio next to the stage area with private restrooms and bar. Includes VIP Parking with purchase of two (2) tickets or more. VIP Area/Club/Lounge access included. Tickets will be ready for delivery by Aug 25, 2019. VIP Area/Club/Lounge access included. VIP Parking included. Tickets will be ready for delivery by Aug 21, 2019. These tickets are listed as Possible Obstructed View and your view of the action and the stage/set/field may occasionally be blocked. Tickets will be ready for delivery by Aug 25, 2019. Deluxe Hotel Package includes: Two night stay at a four star hotel near the venue (check-in day before event, check-out day after event) | Premium reserved lower front ticket in section 200 (orders of three or more may be split) | Roundtrip airport transfers | Private pre-show hospitality featuring food and drinks | Specially designed tour merchandise | Detailed itinerary | Additional hotel nights or specific days may be obtainable upon request | Rate is based on double occupancy | Orders for a quantity of one are subject to an additional charge |.